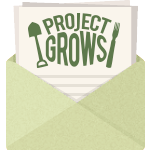 Project GROWS collaborates with community-based partners to get nutritious local produce to the individuals and families that need it most. In 2016, Project GROWS and the Central Shenandoah Health District partnered to improve access to local fresh fruits and vegetables among families participating in the Special Supplemental Nutrition Program for Women, Infants, and Children (WIC) and low income seniors by hosting a weekly farmer’s market at the Staunton-Augusta Health Department. Local farms, including Project GROWS, participate in the WIC & Senior Farmers’ Market Nutrition Programs (FMNP) at the Staunton-Augusta Health Department Farmer’s Market. These programs provide vouchers to qualifying seniors and WIC families for the purchase of fresh fruits and vegetables at approved farmer’s markets. The Staunton-Augusta Health Department Farmer’s Market is held every Friday from July through September and is open to the general public. During the summer, you’ll find youth from the Boys & Girls Club selling seasonal produce and answering questions about our programs at the Youth-Run Farm Stand at the Waynesboro Boys & Girls Club site. These young adults are learning the skills they need to become leaders in our community while making fresh local produce accessible. The market accepts cash, check, and SNAP EBT payments. The North Augusta Farmer’s Market (NAFM) supports a thriving local food system by connecting local farmers and producers to families and individuals in our community. From quality products such as artisan crafts to eggs, fruits, vegetables, baked goods, honey, and meats, visitors to the NAFM will encounter friendly and familiar vendors in an inviting atmosphere. Located along the river at Constitution Park, the Waynesboro Farmer’s Market (WFM) strives to sustain a vibrant and innovative market that supports local farmers while extending the benefits of local food to the greater community. At the WFM, visitors will find a wide selection of local fruits and vegetables, baked goods, honey, eggs, and meat as they enjoy the upbeat atmosphere and friendly faces of dedicated vendors who are committed to serving the community. The mission of the Project GROWS farmer’s markets is to increase the accessibility and affordability of local foods to all, and to foster a vibrant economy for its producers.